Hello! 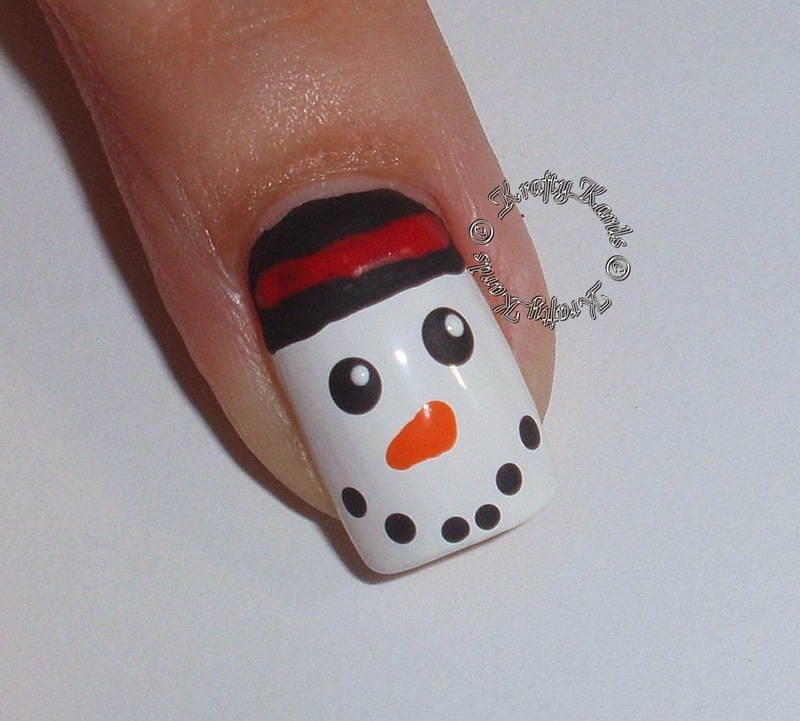 This is probably my last Christmas Nail Art for the Year of 2014. 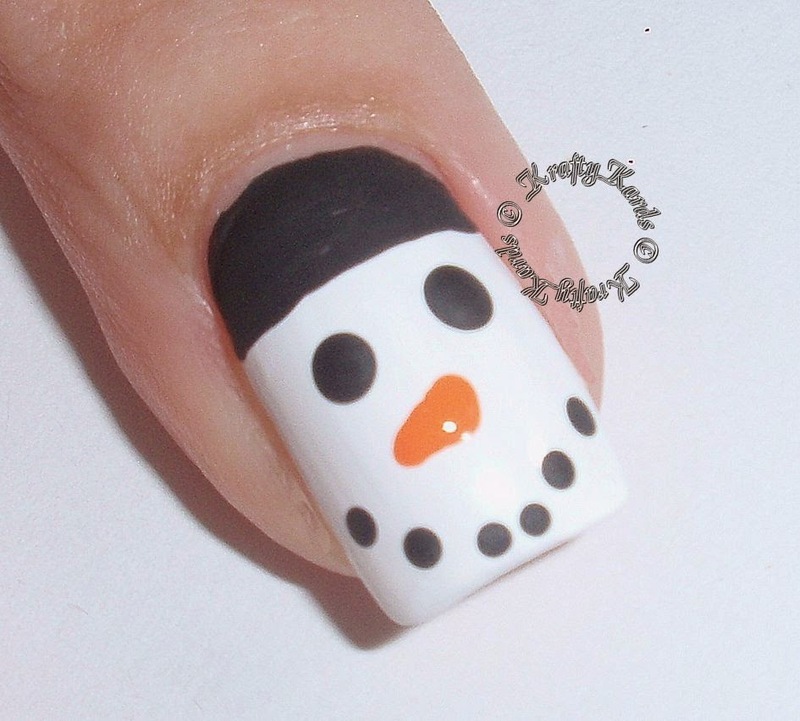 I decided on a Snowman and it was easy to do. Again, I was able to take pictures for step by step instructions for you to try. First paint your nail white, with two coats. Next I took black acrylic paint and drew an arch at the nail base for his hat. You can use black nail polish as well. make two eyes and dots for his mouth. Now with orange paint or polish and a toothpick, make his nose. To finish it off, I put a red line as a band on his hat and two white dots in his eyes. and then topped them with Sally Hansen Pixel Perfect. 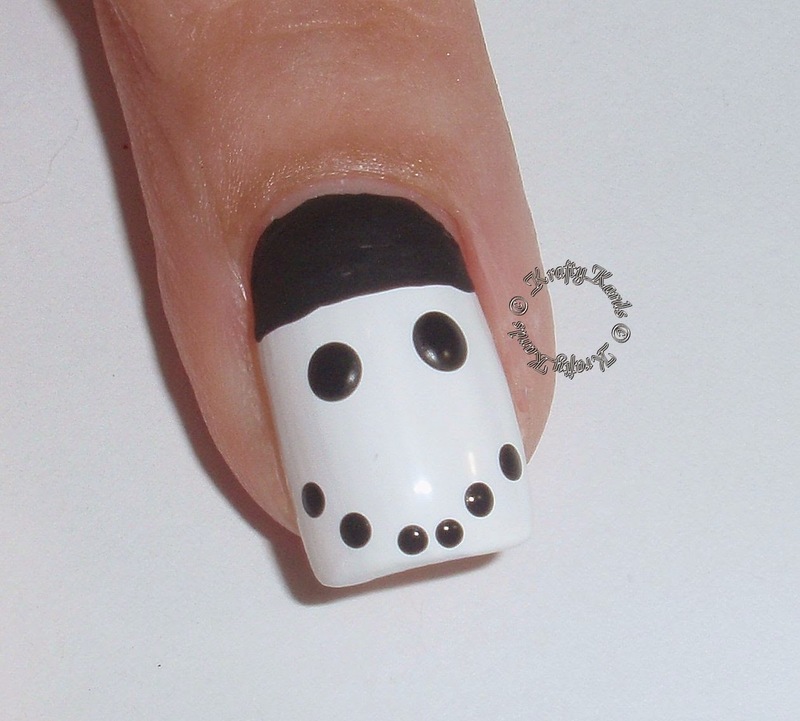 It is a clear polish with white and black hexagon glitter and black bar glitter. It reminded me of pieces of a snowman for some strange reason. Then top coat and done! See, another easy one that you can do as well. I hope you try it this season and if you do, post a picture, I'd love to see!